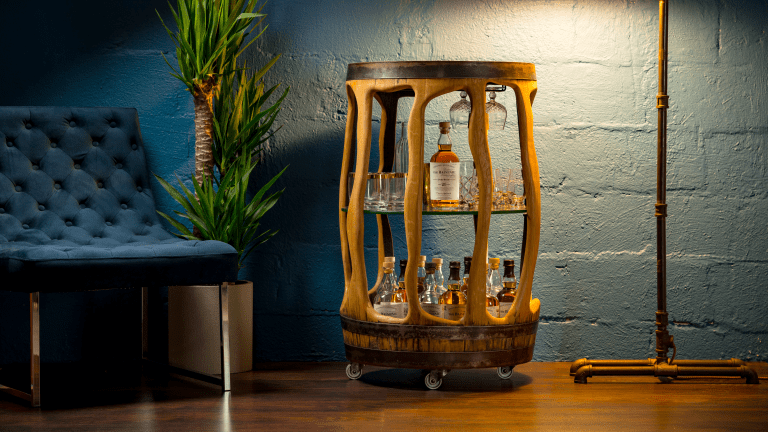 Single malt specialists The Balvenie joined forces with NYC-based menswear label Todd Snyder on a four-piece collection of artful products that incorporate wood from The Balvenie Distillery in Dufftown, Scotland. 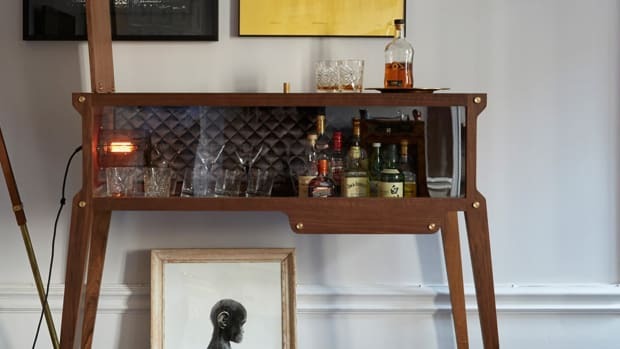 And though everything, especially the charcuterie boards made from The Balvenie barrel staves, is worth coveting over, the must-have item is this exceedingly beautiful bar cart handcrafted by Mats Christeen, a former NHL draft pick, pro hockey player, male model and now artisan furniture craftsman. 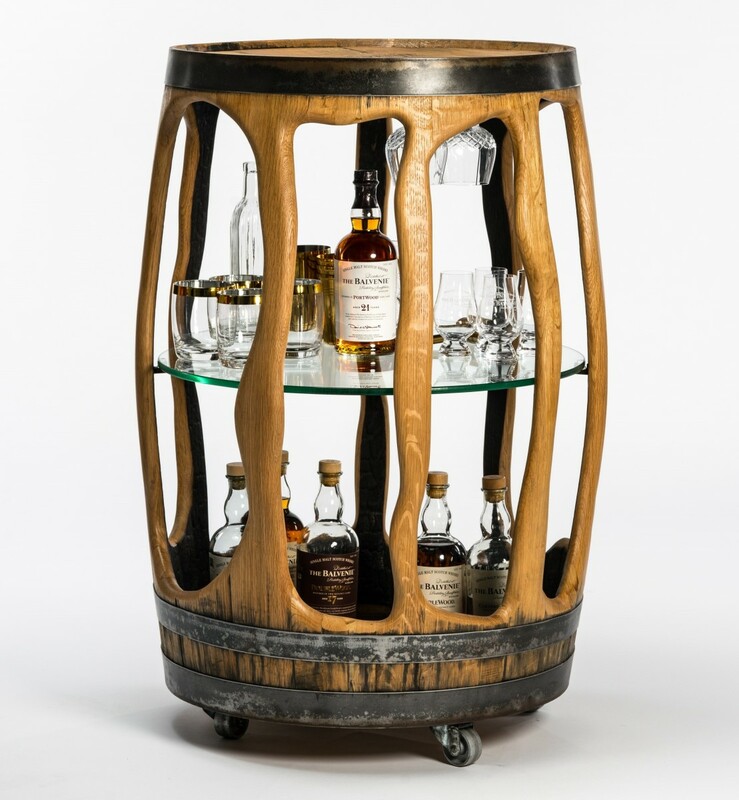 Christeen developed the carts from reclaimed barrels that showcase both the natural wood exterior and charred interior. 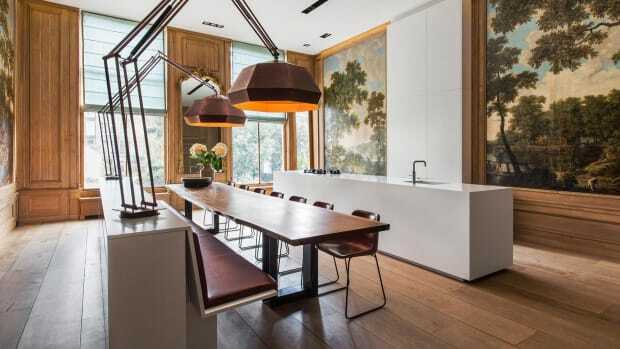 The finished results are unique — no two are exactly the same — with a stunning aesthetic that collides whisky with art and furniture design to eye-pleasing success.